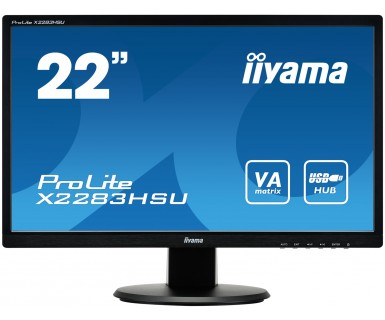 The ProLite X2283HSU-B1DP is an excellent 22” Full HD LED-backlit monitor with 1920 x 1080p resolution and VA panel technology guaranteeing accurate and consistent colour reproduction with wide viewing angles. Triple Input support and USB HUB ensure compatibility with the latest installed graphics cards and embedded Notebook outputs. An affordable solution for education, local government, business and finance markets. Het is mogelijk om de productspecificaties zoals op deze pagina beschreven naar Uw e-mail adres door te sturen. Selecteer door middel van de selectie vakken welke informatie U naar U toe wilt mailen.